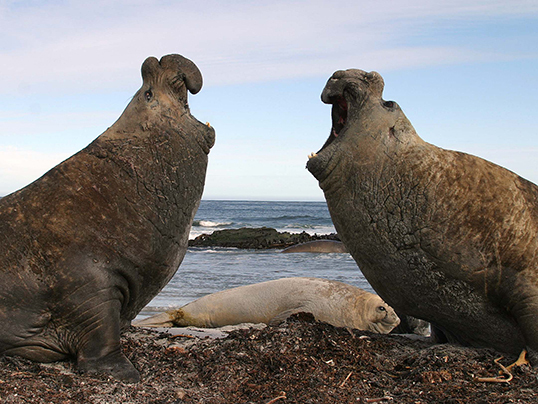 Acoustic communication is a core aspect of elephant seal social behaviour. 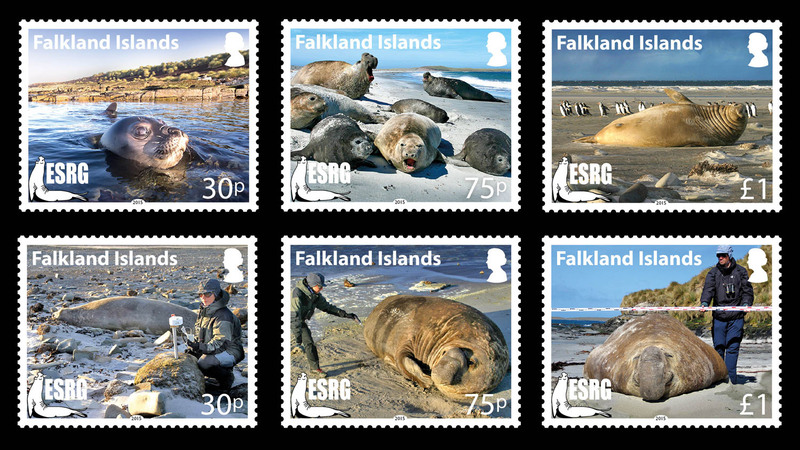 Most of the studies on bioacoustics of elephant seals were carried out on in the northern species, and before our study scarce information was available for the southern species. The most striking aspect of acoustic communication in southern elephant seals is male use of vocalizations to establish and maintain dominance. Agonistic contests have a stereotyped structure, and almost invariably involve the emission of sounds by the contestants. The study of male vocalizations of Sea Lion Island showed that male vocalizations have a very high repeatability in the structure of sounds emitted by each individual, and a very large variation between individuals. This pattern of intraindividual constancy is evident both in the macrostructure of the sound (i.e., its composition in syllables and part of syllable) and in the acoustic parameters (e.g. fundamental frequency). Notwithstanding this general constancy, there is also some variation in acoustic parameters of the sounds emitted by a male in different moment of the breeding season. Evolutionary theory predicts that only signals that are good and honest indicators of phenotype quality may be maintained in steady state in natural populations. Hence, we expect elephant seals aggressive vocalizations to be a good index of the male structural phenotype and physiological state. Vocal performance should also be affected by the hormonal levels, and testoreone in particular, and breeding status, factors that can change a lot during the breeding season.